LPPS frequently arranges local, national and international trainings, workshops and conferences. Its strength is providing opportunity for interaction between the local and the global levels, especially facilitating exposure of policy makers to the realities of Indian pastoralists and livestock keepers. In the course of the Interlaken process that led to the Global Plan of Action on Animal Genetic Resources, LPPS organised a series of workshops and interactions on Livestock Keepers’ Rights. Another focus has been, and continues to be, on training and workshops around saving Rajasthan’s camels. 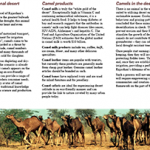 LPPS seeks to develop a multi-stakeholder platform around the camel. 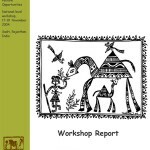 A current focus is on training and capacity-building for Biocultural Community protocols, most recently a Training Programme on Developing Biocultural Protocols held at the WOTR learning centre at Darewadi in Maharashtra in August 2013. In December 2012, an Experience Sharing Workshop on Biocultural protocols was held at the LPPS campus in Butibagh near Sadri. 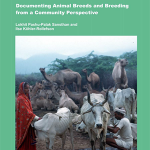 In April, 2013, LPPS co-organised, together with WOTR and LPP, a Seminar on Green and Equitable Livestock Development in India held in Hyderabad. On special request, LPPS makes its campus available for retreats and meetings of other organisation. Opportunities for field visits to Raika communities and camel herds can be arranged. The LPPS campus is located adjacent to the Kumbhalgarh Wildlife Sanctuary. Simple accommodation is available in traditional jhoompas and two rooms. A wool processing unit and hand paper making factory are also on campus and provide insight into the camel based industry that LPPS is supporting.